Snuggle with Sherman the Sheep! Kids and stuffed animals just go together. When my daughter was born I think nearly everyone brought her plush whenever they saw her the first year. But not all plush toys are equal. 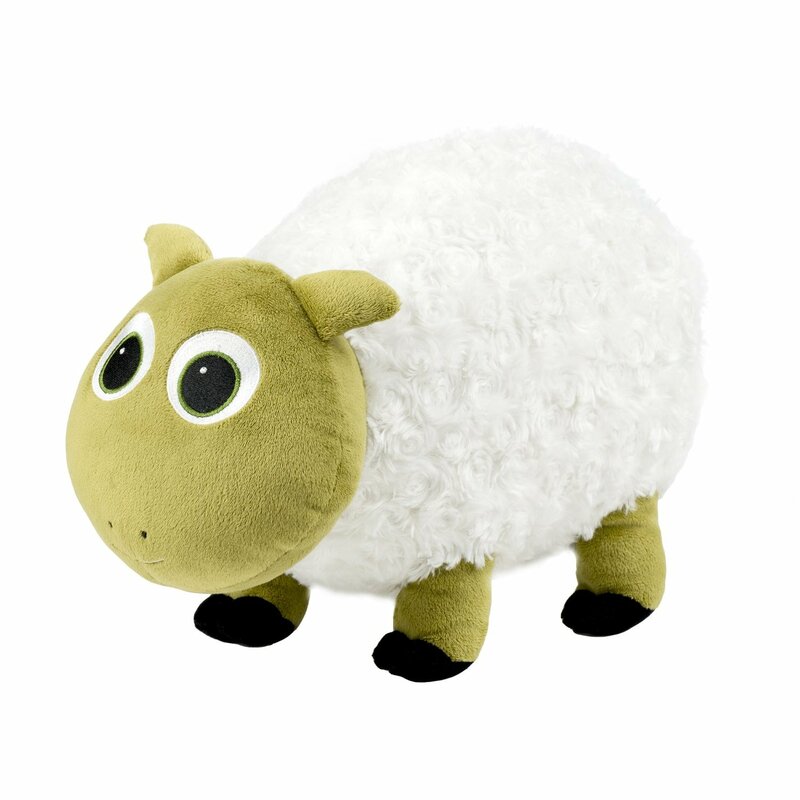 Sherman the Sheep plush is made with high quality materials and the size is very impressive. When it arrived I was taken back the size. Sherman will be great for the baby to roll around on the floor with and still perfect when the child is 5 or so to snuggle with in bed. It’s a good size plush. About as large a big box of tissues but taller. When my 5 year old daughter saw Sherman her eyes lit up and she grab him She loved how soft and snugly he is. I liked the quality of the stitching and materials. There was no shedding of “wool” or stuffing on this sheep. My daughter has had Sherman for a few weeks now and has taken him nearly everywhere with her. He goes to pre-k and takes naps with her on her cot. If you are looking for a soft, snugly, adorable plus sheep Sherman is a great choice. He’s the perfect size for any child. I received Sherman the Sheep complimentary for evaluation purposes. Regardless, all opinions expressed are still 100% my own. I am disclosing this in accordance with Federal Trade Commission 16 CFR, Part 255 Guides Concerning the Use of Endorsement and Testimonials in Advertising.